What this reality show gets wrong about entrepreneurs seeking capital and the valuation of their companies. Let’s face it, there’s something hypnotic about the whole process. An entrepreneur with a vision gets a chance to present to a group of successful founders who’ve now entered into the waters of venture capital. And Daymond Johns is both a great entrepreneur and a friend–so how can you not love seeing him support the next generation of innovators? Sure, they’re “Sharks”–but heck, you think you can wow them, or charm them, or bluff them. You’re going to be a winner, and with their capital and their Rolodex, you’ll be on your way to the angel investor’s promised land. 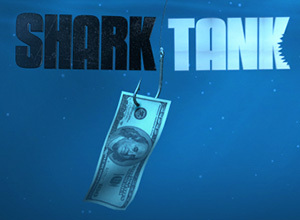 There are a few problems with the Shark Tank model that should be put out in the open right now. First of all, there is never going to be a situation where you’ll present to a number of investors–and each of them will be able to either bid against each other, or similarly, collude to set a price at which they’ll pool their money and force you to take a deal. Whether you present to partners in a fund, or a group like New York Angels, they’ll speak in one voice and they’ll invest on the same terms. So the idea that you’ll have an auction among partners or peers is simply fiction. 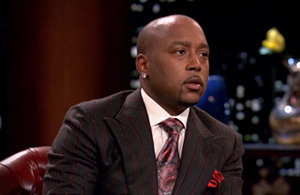 But, more significantly–Shark Tank presents as gospel the way that they set the valuation of company. 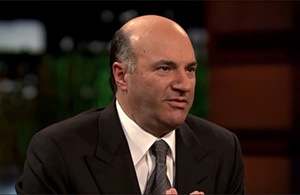 When the entrepreneur answers, “I made two hundred thousand dollars,” O’Leary pounces. That’s the math of every show. Valuation = Revenue, which those of us who’ve raised money know is completely nuts. Truth be told, most angel investments and early stage venture capital is put into companies that are somewhere between an idea and a prototype. Even web properties that have traction and are scaling nicely often do so with little or no revenue as they’re growing. Now, I understand the Shark Tank formula on valuations. It’s meant to push back against wide-eyed entrepreneurs who think their company is worth $10 million with little more than a concept and a sketch. But valuations are a bit like romance, in early stage deals their a mix of passion, promise, and vision. It’s not a formula, it’s a negotiation. But Shark Tank doesn’t leave room for that–by setting the rules the way they do. So when the Sharks call the question, “So, what are you going to DO?” it’s a bit like speed dating run amok. You almost wonder if the most successful entrepreneurs are the ones that use Shark Tank for exposure, and then walk away and let their phone ring with serious investors, to negotiate away from the spotlight. Venture Capital or Angel Money? What Can You Show? How Much Is Too Much? Answers to those questions and more in my next post.